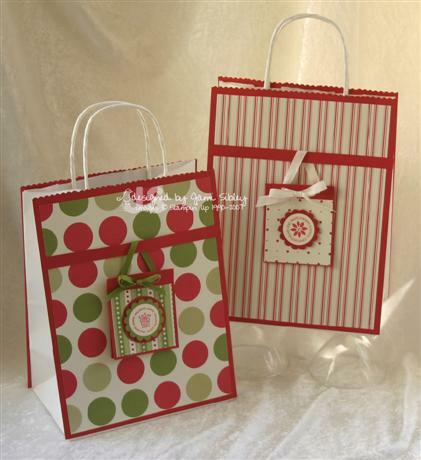 The are just plain white handled gift bags covered front and back with real red cardstock and Dashing dp. Then I attached a strip of red cardstock and hung a gift card from it with ribbon (olive grosgrain or ivory tafetta). The little gift card is 3″ x 3.5″. It is scored .5″ from the top and two eyelets are inserted to hold the ribbon. Super simple. I think I’ll add some red tissue to finish them off. I only have a few spots open so you need to register right away if you want in! Hey do you love Stickles? What a silly question! Who doesn’t love Stickles?! Run over to Joy’s blog where she is giving away Stickles for Free Friday! 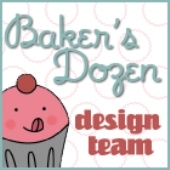 You just need to provide her with a link to one of your projects using Stickles or glitter! Bling it up baby!!! Be sure to check back tomorrow when I’ll have something special to share with you that does not involve designer paper of any kind! *wink* Thanks for stopping by! Oh Jami! I love these bags! Very cool! I wish I were close enough to come to class. You seriously need to move to Michigan. Terrific! 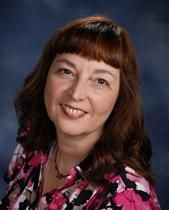 I agree with Debra; wish I were able to attend your workshop! Those bags are precious! I wish I lived near you…I’d come to your class! Thanks for sharing!!!! I am really enjoying watching your Dashing DP ideas unfold on your blog, Jami! It is one of my favorite DP’s ever that SU has done. Of course, olive is my all time, most used green and my favorite color for plants, leaves, and yes…..Christmas. Don’t you just love Christmas projects. I enjoy your blog so much and look forward to my email updates. Thanks for all your hard work. I have to get myself in gear and get my blog up and running. Adorable! I love how you “hung” the tags on the ribbon. How creative! I might have to add a link to your blog from mine…do you mind?? Oh My Goodnessssss! I *heart* these bags!!!! All content (including text, photographs, and design work) is ©Jami Sibley. Original artwork is shared for personal inspiration only and may not be copied for contest submission or publication. To subscribe to More Is More and recieve an e-mail each time there is an update please click the icon below.